For decades, marketing has been predicated on interrupting someone else’s content. Now, as marketers continue to explore creating content that people want to watch for its own sake, there are many useful lessons to learn from Los Angeles’ entertainment community. This observation isn’t to naively suggest that marketers and content creators share the same playbook. They don’t. After all, marketers develop marketing content to distinguish their brands from the rest of the pack and to drive sales. For these marketers, “content” is the means to an end. On the other hand, content creators aim for stellar box office returns, strong ratings and sold-out ticket sales. For the entertainment industry, their “content” (and its ancillary extensions) is the unequivocal end itself. If you answered by talking about your brand’s unique advantages and consumer benefits, you own a house, not a home. Don’t feel lonely. There are plenty of companies doing the same thing. And they all have lessons to share. Take Xerox for instance. At one time, having a Xerox machine in the office had become a necessity. Instead of asking, “Can I get a copy of that?” it was commonplace for people to ask, “Can you make me a Xerox?” Having achieved a great deal of success, the company decided to cultivate other ambitions. For one, Xerox wanted to get into computer technology and data processing. They spent many years and millions of dollars before finally throwing in the towel. Why? Because they couldn’t get buyers to believe that a copy machine company could make a good computer. In effect, Xerox found out that it was a house, not a home. Chiquita is another example. Chiquita had to admit defeat after trying to convince us that they make a good frozen juice bar. Country Time Lemonade was forced to stop trying to sell Country Time Apple Cider. Ponds barely got out of the starting gates with Ponds toothpaste before it quit. And Smith and Wesson (yes, the maker of guns) tried to sell a bicycle of all things. Thousands of stories like these exist. But then many brands tell a different story. Apple has gone from selling computers to phones, to tablets to who knows what’s next. Nike started out selling waffle-soled running shoes but is now the leading brand of athletic equipment, gadgets, and apparel. Perhaps a more extreme example is Virgin with its long list of unrelated products and services: phones, records, airplanes, casinos, satellites. In case you’re sick and in jail, Virgin even provides a prison health service. Add Harley Davidson, Disney, Starbucks, and anything that Oprah labels to the list. See any similarities? These are brands that grew by creating homes, not houses. 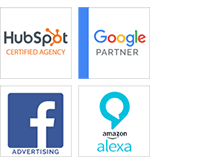 When we think of these brands, we don’t just think of a single products or service. We think of the ideas, values and beliefs their names represent. To their buyers, they offer something more important than functional benefits. They provide a sense of belonging. In fact, their buyers aren’t really buyers. They are more like members of the same household who share similar beliefs. Virgin could sell mud flaps if it wanted to. No doubt, they’d become the best selling mud flaps available. ( Hey Branson, you heard it here first!). How do you build your brand story? Learn here! Check out your brand’s foundation. Does it provide a solid base that will support any additions, or is will it only hold up your house as is? Get rid of the clutter. Throw out everything that distracts away from the one simple but important truth that your home represents. Hire the right agent. Anyone can help you find renters or even buyers. Hire someone who can tell your story in a way that will attract followers. Conduct a permanent Open House. Stay real, authentic and open to transparency. Making a distinction between a house and a home has many advantages. Just remember, a house functions as a place to shelter you from the elements, provide you with ample closet space and a place to park your automotive status symbol. Homes serve a very different purpose. They provide belonging, and support for values you can identify with. The extent to which your brand can offer customers a home instead of a house will determine the size of your family. Oral stories told in a business context, make up a unique category within the whole storytelling genre. They fall somewhere between the extremes of your basic TV news story and stories delivered by performance artists. Stories told in business settings are necessarily short, conversational, and only work if they make a relevant point. 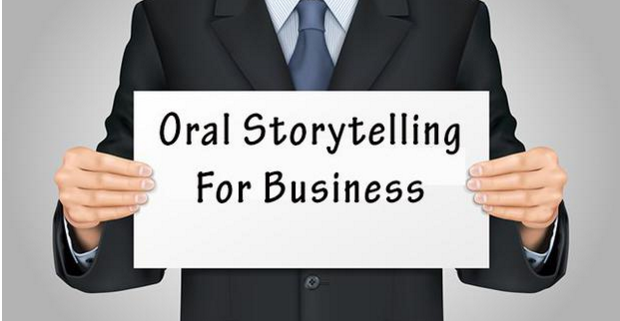 Nevertheless, business stories do have one thing in common with all other types of oral stories. If appropriately told, they emotionally engage audiences and have a very good chance of being remembered. Think about it. What’s easier to recall from an oral presentation? 3 bullet points or a story about 3 pain points similar to yours? It is for this reason that oral business storytelling can do the heavy lifting when you need people to engage with what your information. If you’re wanting to learn the basics of business storytelling, there are plenty of resources available to you, including companies like Anecdote that specialize in business storytelling training (full disclosure/shameless plug: I am an Anecdote Storytelling trainer). But, whether you are a trained business storyteller or not, here are some tools and resources that will further your abilities. I’ve lumped similes and analogies into this category. Each has its own structure, but these three forms of speech have the same purpose. They all provide new information within a known frame of reference. As such, they create mental pictures that foster more involvement than plain descriptions. Metaphors Dictionary by Dorris Weiss and Elyse Sommers. It contains 6500 comparative phrases, and a complete bibliography of sources. The other is The Tall Lady and the Iceberg: The Power of Metaphor to Sell, Persuade & Explain Anything to Anyone. In addition to containing a number of great metaphors that can be used for business storytelling, the author provides a number of techniques that will help you come up with your own unique metaphorical phrases. 2. The “Then, Now and How” Formula. Then: “We used to have a problem with employee turnover (really embellish the problem by talking about the setbacks and the frustrations this caused). Now: ” Today, however, we have substantially reduced turnover to _____.”(fill in the blank and embellish). This formula has many applications for selling or presenting case histories. Too often, speakers try to get audiences to laugh by telling jokes or delivering overly rehearsed one-liners. And they fail. This is because audiences get turned off by speakers who try too hard to make them laugh. Witness Senator Rubio’s first debate when, during his introductory remarks, he held up a bottle of water while saying that he’s made sure to bring water this time. This was a call-back to the time when a dry-mouthed Rubio embarrassed himself by reaching off camera for water during a nationally televised rebuttal to the State of the Union speech. I’m not sure what was harder to watch, the reach for water or the joke that didn’t get a laugh. “I started out working for a pretty tough boss. He watched over everything I did and was quick to criticize. One day, he told me that he’d love to stop correcting me. “You have my full permission,” I said. This may not generate a guffaw, but it’s easier to deliver and will be appreciated more than a canned joke or witticism. A relevant business story isn’t something that most of us can come up with spontaneously. For that reason, it’s important to keep a journal of some sort that will trigger stories most appropriate for any given situation. You needn’t write out the whole story. A headline and a one or two-line gist will suffice. Two sources can help you with this. The first is Evernote. Create a category called “My Stories’ in Evernote and tag each story you add to it with words that help you find them, as needed. You might have a story about a challenge about a weird problem you once encountered, for instance. Simply write a couple sentences that will help jog your memory. Tag them with words that will help you call them up when they are needed – tags like, #weird problem, #unusual challenges, or #creative solutions. Another source is Day One. Day One is a daily journaling program that also allows you to categorize and tag stories of the days they occur. However, Day One will send you timed notifications with questions like, “What are the best, worse memories from your childhood?” I use this by providing short, taggable answers similar to the way I use Evernote. Additionally, Day One provides a way to diary events, emails, photos or anything else that you’d like to keep track of. This is a formula I learned from a Ted talk, entitled, The Clues To A Great Story, given by Pixar’s Andrew Stanton, the creator of Finding Nemo and Wall-E. During this talk, Stanton explains that audiences don’t like to be told that 2+2 equals 4. “We like to figure things out for ourselves,” he goes on to say. The 2+2 Formula really underscores one of the fundamental reasons we are drawn to stories. It’s why comedians don’t explain the punch lines to their jokes. Practice using these 5 tools and you’ll add to your ability to capitalize on the power of story as a business tool. For more information, on storytelling training for business, go to http://www.story-lab.net. In the 30’s and 40’s, Frank Capra was one of this country’s most famous screenwriter/directors. In his memoir, The Name Above The Title, he recounts how he saved his award-winning movie, Lost Horizons, from dying a premature death. This is how the expression “burn the first reel” originated. Translated, it means, cut out the fat from the beginning of your story. “Burn the first reel,” is an important axiom when it comes to business storytelling. When telling any kind of a story to friends, you will have a lot of freedom to add color through what you might think are interesting details. But the people sitting around a conference room table are far less accepting and far more impatient than they might be if you were telling the same story over a beer. Some may disagree, but I believe that that business storytelling is the most challenging form of narrative. Because in addition addition to requiring good storytelling skils, it requires one to know how to strike the balance between too much and too little exposition. One of the biggest mistakes business storytellers make occurs when they open with an origin story or a story that describes how their business began. Too often the storyteller will get carried away by going into harrowing detail. Certainly, most audiences will be interested in learning how a company’s struggles were overcome to achieve success. However, they don’t want to struggle themselves to get there. Instead of providing a long chronology of events that occured over time, the “Now, Then, How” formula can get to the heart of your story very quickly. Additionally, throughout the telling of this story you will hold your audience’s attention because their curiosity will be piqued. Here’s an example of how to use it? Now: “This is a headline that appeared in Accounting News last week. (Headline reads: “Dokes Accounting ranks highest in customer satisfaction”). How: One of those things we’ve learned is what I’d like to talk to you about today. In just a few sentences you will have created a curious readiness for your audience to hear how and why Dokes does what it does. This is not to suggest that adding a few flourishes to an origin story should be avoided at all cost. But if you’re going to go that route, it’s important that you keep detail down to a minimum. This is often a judgement call, but when in doubt, cut it out. If you’re up for it, let me show you via this torturous example of an origin story along with some likely audience reactions. While reading this, you may think this is donen to exaggerate the point. But it is very similar in structure to an origin story I once heard given by a salesperson. “I’d like to tell you the story about the idea that inspired Joe Kayser, to start the company I work for. [AUDIENCE REACTION: A story? Why doesn’t he just get to the point? ]. Prior to 1989, Mr. Kayser had worked in quality control for a major widget manufacture. Every day he would stand over an assembly line looking for faulty widgets in order to make certain that anything that was out of spec was sent back to be re-processed. It was hard work, especially given the fact that so much of what was coming at him was faulty. He tells us that he often felt like the famous I Love Lucy scene where she’s put in charge of dipping chocolates – you know, the one where she can’t keep up and ends up eating the chocolates that she can’t dip (he models the scene as he talks about it). Ha Ha. Of course, Bob had to take Joe’s request up the line to his bosses, bossess, boss AND get it agreed to by the union. Ha Ha. In 1989 Joe Kayser made a discovery that became the inspiration behind what our company is today. As a quality control manager for a larger manufacturer of widgets, he experimented with a number of ways to reduce assembly line rejections until finally he discovered a way to reduce mistakes from 30% to 3%. The mistake he discovered may surprise you. It often does because it is so hidden. Certainly an origin story can make for an engaging introduction to your presentation. However, unless you can use it to quickly get to the point, it could have an opposite effect on your audience. Keep in mind that THE most important point of any presentation is “what’s in it for them.” There’s nothing wrong, and everything right about using a story to help you set up that point. But if you make your audience wait too long to get there, it’s likely that the only point you’ll reach is one with the one with no return. Learn more about telling your Brand Story here! https://stevens-tate.com/wp-content/uploads/2016/01/business-storytelling-tip-burn-the-first-reel.png 381 655 Jim Signorelli https://stevens-tate.com/wp-content/uploads/STLogo-websml-biggerAM.png Jim Signorelli2016-01-24 14:32:482018-08-15 23:58:01Business Storytelling Tip: “Burn The First Reel"
I would never even think of telling someone they have an ugly baby. Moreover, I’m not the guy who will admit that you really do look fat in those jeans if asked. However, if you believe that you should cast your customers as the hero of your brand’s story, my conscience obliges me to risk a possible insult. At the very least, I urge you to reconsider. Don’t get me wrong. I do believe that all customers are important. Customers who aren’t, are like 39th birthdays. They only come around once. However, to regard them as important is one thing. To dress them up in the clothes of a hero is quite another. Consider first what the word “hero” implies. Heroes are people who solve the big problem or resolve the burdening tension that few others can. They are the dragon slayers, the courageous visionaries, the people who take huge risks to accomplish unimaginable feats. As such, they become objects of admiration and emulation. Okay, you nor I might be able to do what Michael Jordan did on the courts, what Chesley Sullenberger did on the Hudson River or what a first responder does while putting life on the line for victims of some tragedy. However, these and others we designate as heroes become symbols of principles, ideals and causes we revere and choose to support. So, if you still think your customers are heroes, perhaps you should stop trying to sell them and hire them instead. The countervailing point of view is that brands, not customers, should play the role of hero in the brand story. Taking into consideration the requirements of heroism, this too may be an overreach. However, it is possible for brands to become hero-like. Because like heroes, brands have the potential to symbolize ideals or causes people belong to and support. People don’t wear Harley Davidson tattoo’s, become walking ads for North Face or decal their car bumpers with the name of a favorite political candidate because they are paid to do so. In fact, providing customers with ideals worth rooting for is one of the most important functions a brand can perform. For this reason, and in addition to becoming known for a unique functional benefit, an equal or even greater effort should be put against associating a brand with ideals it stands for. As a matter of fact, functional benefits are eventually copied or they go the way of the typewriter, the Walkman or Windows v 1.0. However, ideals like perfection, persistence, independence, responsiveness, just to name a few–these do not have expiration dates. It should also be said that becoming associated with an ideal does not come about through lip service. It requires an unabiding commitment by management. This explains how Steve Jobs, Richard Branson, Howard Shultz and others turned their brands into best-selling stories. It’s also worth noting that in each of these cases, they committed to something greater than making money. Certainly their fortunes didn’t come about by ignoring the importance of profitability. But through ups and downs, their efforts to stand up, stand firm and stand for something meaningful remained steadfast. Something too should be said about the need for authenticity once a brand sets out to become associated with some ideal. David Ogilvy once admonished, “Your customer is not stupid. She’s your wife.” Today’s consumer (and a certain wife I know) are not easily fooled. Authenticity demands an honest and passionate conviction. Otherwise, you’ll be found out. For this reason, it’s important to let the voice that is saying “THIS is what I believe in” be the voice that leads your quest. In case you are having difficulty hearing that voice, it could be because it’s being drowned out by the voice of that customer you refer to as “hero.” Asking your customers what you should stand for is like asking your children how to be a good parent. LinkedIn is an extremely effective, powerful social media channel for professionals. It has tremendous capabilities and it can really help you to bring your business to the next level in many ways, including by attracting new clients. Brands fight to gain attention. Brands need communication without words. Brands are psychology and science brought together as a promise mark as opposed to a trademark. Products have life cycles, but brands outlive products. Brands convey a uniform quality, credibility and experience. Brands are valuable. Without branding, there is no differentiation. Without differentiation, there is no long-term profitability. People don’t have relationships with products, they develop relationships with brands. There’s no doubt that mobile marketing is the future; 2015 proved to be the tipping point. But as both brands and technology continue to evolve, what form will that messaging take?